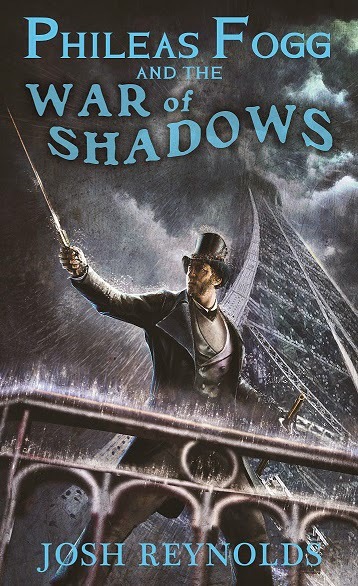 Meteor House, which will be publishing my new volumes, has just made Phileas Fogg and the War of Shadows available for pre-order. This novella by Josh Reynolds is a sequel to Farmer's The Other Log of Phileas Fogg. I have a personal connection to this book. When you look at the credits page, you'll see two Continuity Editors listed. One is Win. The other is me. I won't spoil any plot details, but I will say that there will definitely be some crossovers in this one. It's an honor to be involved with this book, and I truly appreciate Win asking me to take part in it. He's a great friend! This is interesting. I probably should pick up the copy of Other Log at my local used bookstore. I read it once before, but it will probably be worth rereading. Or get the latest edition from Titan Books with all the bonus extras. It's a core novel no Wold Newton fan should be without. It's out in trade paperback and ebook. Yeah I may get the e-book version.